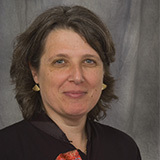 Kate Probst has over two decades of experience evaluating environmental policies and programs. Kate recently testified before the House Energy and Commerce Committee and before the Senate Environment and Public Works Committee about ways to improve the Superfund program. Her most recent work is an independent paper on the current status of the Superfund program, Superfund 2017: Cleanup Accomplishments and the Challenges Ahead. For almost 20 years, Kate was a senior fellow at the Washington D.C. think tank, Resources for the Future (RFF). At RFF, Kate conducted research on ways to improve the Superfund program and the U.S. Department of Energy’s program to clean up sites in the nuclear weapons complex. She directed projects estimating cleanup costs, evaluating information systems, analyzing alternative liability and financing approaches, and examining the reliability of institutional controls. All of these projects involved interviews with senior government policymakers and key stakeholders, as well as in-depth research. Kate was asked to testify before the U.S. Congress on the results of a number of these studies and was frequently interviewed by members of the press. She worked closely with congressional staff and with representatives of government, industry, and environmental organizations. She is the author of many studies and reports on Superfund, the nuclear weapons complex, hazardous waste programs, and climate change. After leaving RFF, Kate spent two years at Green Seal, Inc., a leading U.S. eco-label, as Vice President of Institutional Greening. In that role, she led the effort to develop a green building operations and maintenance manual for public housing authorities and worked with local governments to help them identify ways to implement environmentally preferable purchasing practices. Kate has organized and facilitated conferences on a variety of policy issues. She has served on a number of government advisory panels for the U.S. EPA and the U.S. DOE, as well as on a National Academy of Sciences panel on Contaminated Sediments. Kate has a B.A. from Wesleyan University and a Masters Degree in City and Regional Planning from Harvard University. Policy Analysis: assess the strengths and weaknesses of current public policies and evaluate the implications of alternative approaches to achieve desired policy objectives. Program Evaluation: conduct both qualitative and quantitative evaluations of existing programs; identify and recommend specific actions that could be taken to improve program efficiency and effectiveness. Research: conduct in-depth research of specific policy, issue, or program. Strategic Planning: work with organizations to help them evaluate their current strengths and weaknesses, identify their strategic goals, and develop concrete plans for implementing new approaches. Statement before House Energy and Commerce Committee, Subcommittee on the Environment, January 18, 2018. Statement before Senate Environment and Public Works Committee, Subcommittee on Superfund, Waste Management, and Regulatory Oversight, August 1, 2017. Superfund 2017: Cleanup Accomplishments and the Challenges Ahead. Independent white paper commissioned by the American Council of Engineering Companies (ACEC) that provides information on program accomplishments for the Superfund remedial program, as well as data on program funding and a comparison with estimates from the 2001 Report to Congress, Superfund’s Future. Cleaning up the Nuclear Weapons Complex: Does Anybody Care? Lead author, Resources for the Future. Combating Global Warming One Car at a Time: CO2 Emissions Labels for New Motor Vehicles, Resources for the Future. Estimating the Cost of Institutional Controls, with John Pendergrass, Resources for the Future and Environmental Law Institute. The Evolution of Hazardous Waste Management Programs: Lessons from Eight Countries, with Thomas C. Beierle, Resources for the Future. Green Building Operation and Maintenance Manual: A Guide for Public Housing Authorities, lead author, Green Seal and Siemens, Inc. Linking Land Use and Superfund Cleanups: Uncharted Territory, with others, Resources for the Future. Long-Term Stewardship and the Nuclear Weapons Complex: The Challenge Ahead, lead author, Resources for the Future. Long-Term Stewardship of Contaminated Sites: Trust Funds as Mechanisms for Financing and Oversight, with Carl Bauer, Resources for the Future. Regulating Government, with Terry Davies, Resources for the Future. The Role of the States in a Federal Climate Program: Issues and Options, with Sarah Jo Szambelan, Resources for the Future. Success for Superfund: A New Approach for Keeping Score, lead author, Resources for the Future. “Superfund at 30”, with Martha L. Judy, Vermont Environmental Law Journal. Superfund’s Future: What Will It Cost? Executive Summary, Lead author, Resources for the Future. The Strengths and Weaknesses of Current Superfund Law, Congressional testimony before the Subcommittee on Superfund, Waste Control and Risk Assessment, Committee on Environment and Public Works, U.S. Senate. Arthur Weissman, President & CEO, Green Seal, Inc.
“Kate Probst is an outstanding policy analyst, researcher, and strategic thinker. She has been one of the nation’s leaders in the environmental policy area for more than two decades. Kate has conducted numerous research studies on how to improve the nation’s Superfund toxic waste cleanup program, including a pioneering program evaluation report in 2001 for the U.S. Congress and U.S. Environmental Protection Agency entitled Superfund’s Future. She has worked closely with senior officials in the legislative and executive branches of government on these studies, and testified before the U.S. Congress on several occasions on her research.